As your skin matures, and particularly around the time of the menopause, you find yourself constantly searching for that one eye cream that will halt the progress of those annoying fine lines (does nobody say crows’ feet anymore?). More than any other product, I think a decent eye cream is the Holy Grail of lots of mature women’s skincare routines. And I’ve tried quite a few. Let’s be honest here. The only thing that truly removes lines and wrinkles is botox or even more invasive surgery and that really isn’t for me. But if you can find a great cream that moisturises and hydrates over a decent number of hours, that isn’t too fragranced or heavy and doesn’t come with a hefty price tag then you’re on to a winner. It goes without saying, too, that you don’t want a product chock full of chemical nasties nor one that is tested on animals. It’s 2018 for heaven’s sake, surely there’s no excuse for animal testing. 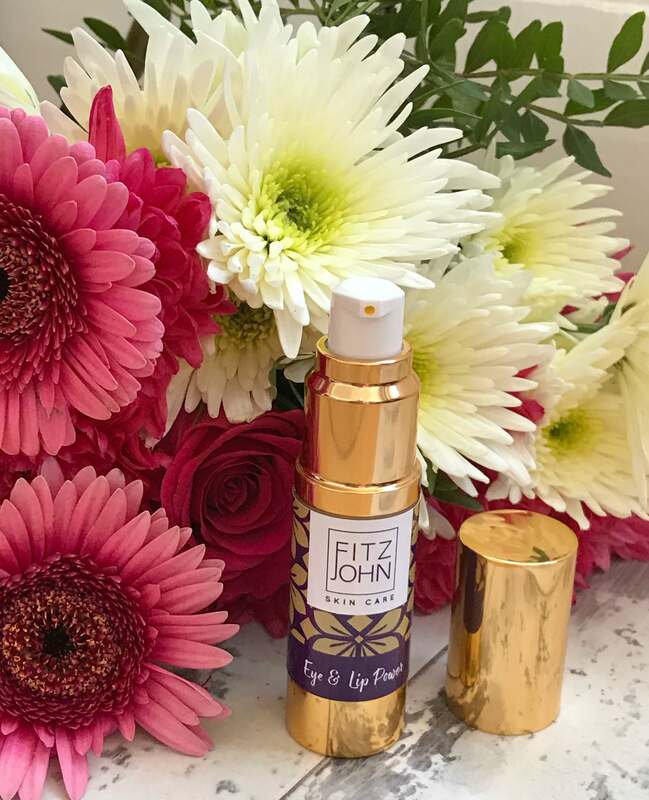 I was recently sent Eye & Lip Power from Fitzjohn Skin Care. They’re a British brand whose products contain award-winning formulations using high quality, nutrient-rich botanicals, the latest plant ingredients and essential oils. Their ingredients are ethically sourced, many of them organic and, they say, “free from slaughterhouse derivatives, petroleum, synthetic fragrances, silicones, plastic microbeads, parabens and animal testing” – practically every skin care nasty you can think of. The range encompasses treatment products, like Eye & Lip Power, daily essentials like their Luxury Hydrating Facial Moisturiser and hand and body care, with products like Golden Body Oil and Decadent Body Butter Cream. The packaging is divine. 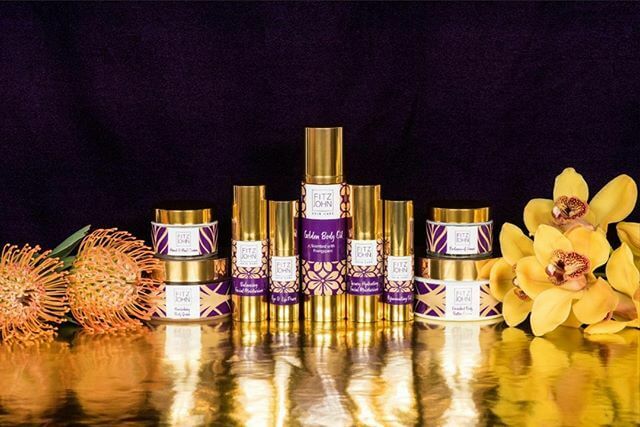 Gold containers inscribed with white and purple make the products stand out on your dressing table. I find lots of the premium-priced skin care products have a clinical feel when it comes to packaging and it’s nice to be able to add a little glamour to your dressing table or bathroom shelf. The product I was sent to try, Eye & Lip Power is designed to keep the eye and lip contours soft, hydrated and smooth. It contains Lupine Peptides (for anti-ageing), organic Sea Buckthorn, vitamins and omegas. Eye & Lip Power is a light textured gel creme dispensed via a pump action vial and I found it to be quickly absorbed with no irritation. I think the idea of a product that treats eyes and lips is a great one. It isn’t a lip balm though, so you just apply it to the area around your lips and it’s great for those annoying little lip to nose lines where lipstick tends to ‘bleed’. 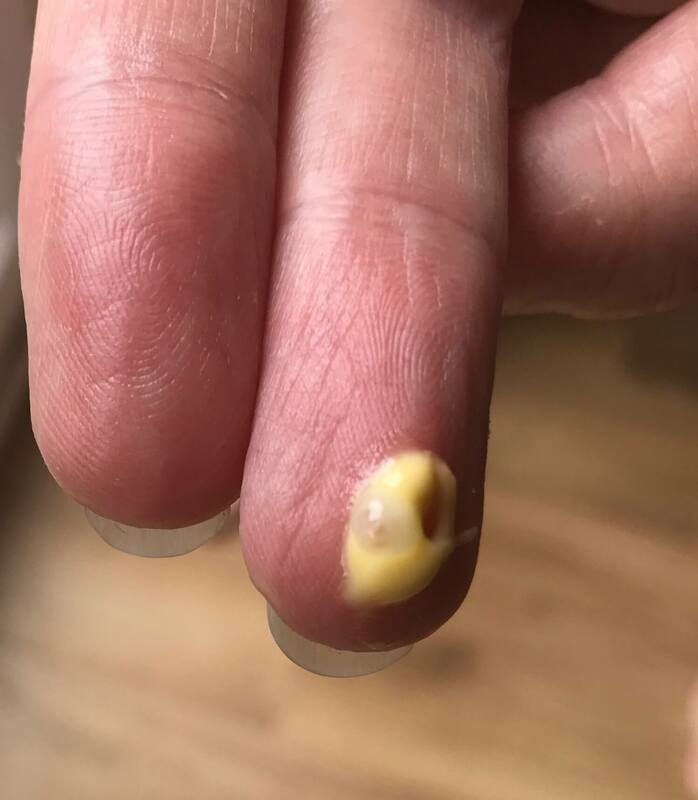 I actually found that the skin around my eyes, in particular, felt a little tighter after application. What impresses me most of all is that Eye & Lip Power is still there in the morning when you cleanse. It is almost as if it has created a protective veil. At £46.00 for 15ml, I think it is a premium product at a reasonable price point. It suits all skin types too, as do many of the other products in the range. 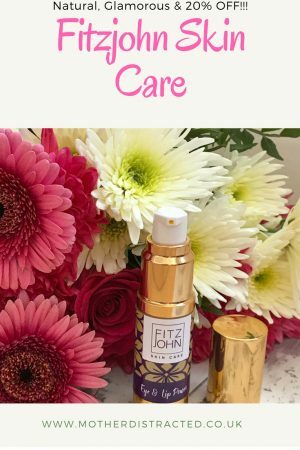 If you would like to try the Fitzjohn Skin Care range for yourself, Mother Distracted readers can receive 20% off their first online order when ordered at Fitzjohnskincare.com before 31 October 2018 using my special code MOTHER20. No minimum spend. Shipping excluded. It’s great to discover a new British brand which offers an effective natural skin care alternative to all those other products chock full of manufactured ingredients. 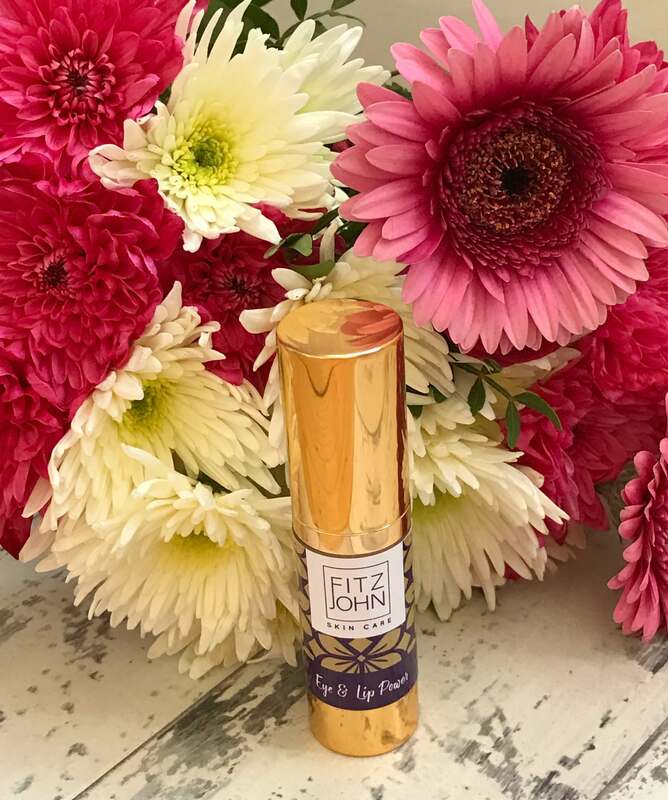 *I was sent an Eye & Lip Power from Fitzjohn Skin Care to review for the purpose of this post which also contains an affiliate link. Great review, and this would be an ideal gift for my mum for her birthday!